We’d love your help. 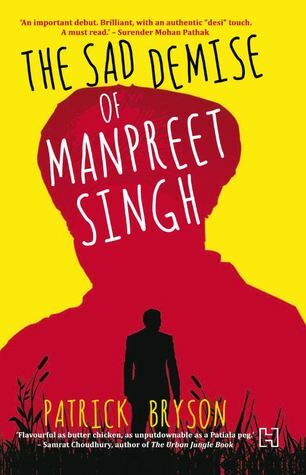 Let us know what’s wrong with this preview of The Sad Demise of Manpreet Singh by Patrick Bryson. To ask other readers questions about The Sad Demise of Manpreet Singh, please sign up. This book is not your conventional book which can be slotted into a regular genre nor is the protagonist Dominic 'Biscuit' McLeod (Dom) your conventional hero. The narrative takes us readers through Dom's investigation into the death of one of his colleagues and he happens to stumble upon a large scale visa fraud and human trafficking scandal involving more than quite a few of his colleagues and friends from the diplomatic community of various embassies and commissions in New Delhi. Whether his e This book is not your conventional book which can be slotted into a regular genre nor is the protagonist Dominic 'Biscuit' McLeod (Dom) your conventional hero. Whether his efforts to bring the scandal to light and the deliver justice to the culprits forms the crux of the book. However, what is more interesting is the journey that Dom takes and Dom's personality by itself which to me was the real highlight of the book.